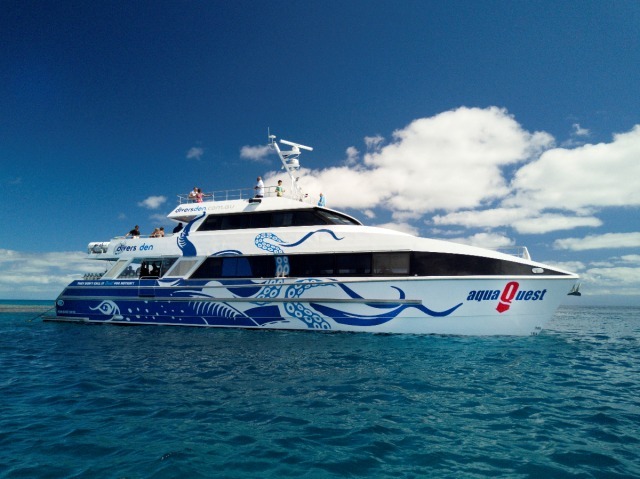 AquaQuest is a brand new custom built luxury dive and snorkel vessel being introduced to Port Douglas in July 2017. 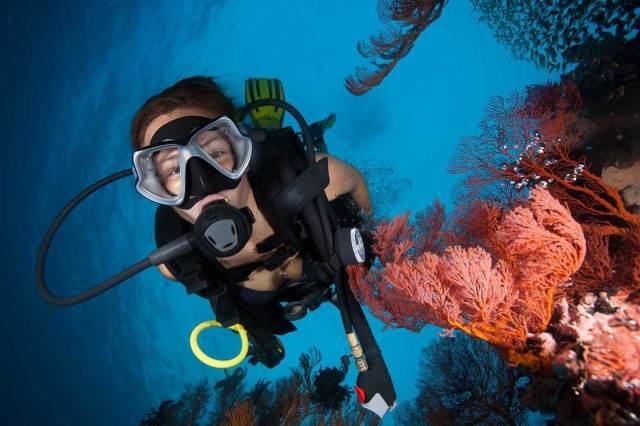 She is fully equipped with the most modern and state of the art facilities including Nitrox. 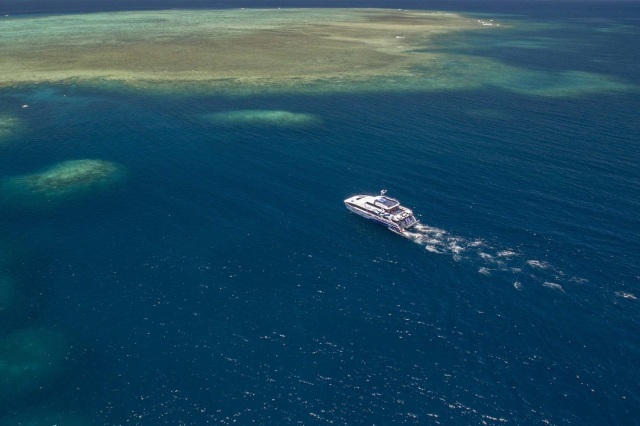 As the newest vessel in Port Douglas, she will give passengers an unrivaled comfort with the best experience available as we visit some of the best dive and snorkel locations on the Outer Great Barrier Reef at Agincourt, Opal and St Crispin's Reefs. Get your phone ready as the on-board photographer will be taking a snap of you and your friends before you board to keep as a souvenir. Some paperwork will be required to be filled out for snorkeling, introductory diving and certified diving activities. Next you will be fitted out with snorkeling or diving equipment. AquaQuest will depart at 8:30 am. The trip to the reef will take approximately one hour and twenty minutes. During this time the crew will present you with a safety briefing and those that are either introductory diving or certified diving will be briefed on their activities of the day. 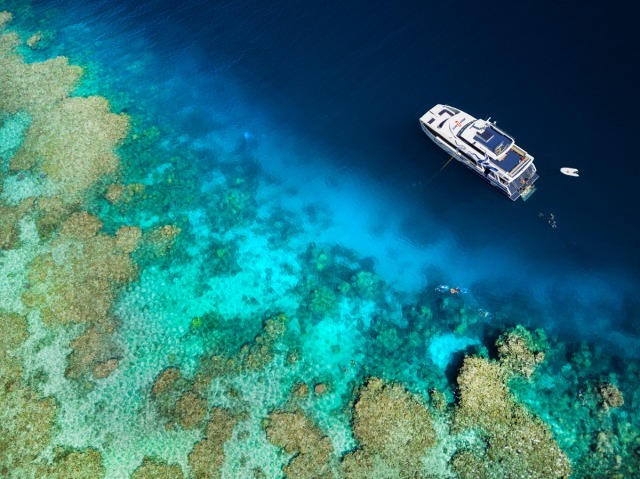 For the rest of the cruise out enjoy the scenery, make your way up to the sun deck or get to know the skipper who will be happy to explain to you how he finds the Reef everyday…. 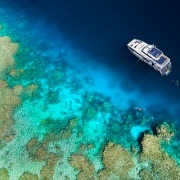 Once at the reef the certified divers and introductory divers will hit the water at one of our fabulous dive sites. 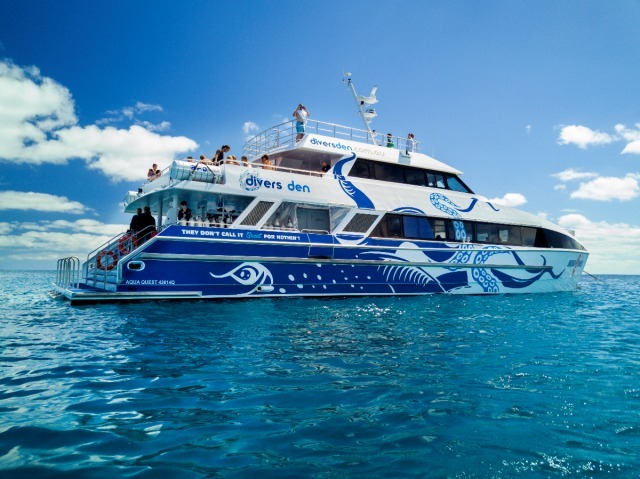 All passengers who are enjoying the snorkeling experience for the day will be taken to the top deck and shown from this great vantage point where the best snorkeling spots are and what they can expect to find. A thorough explanation on how to use the snorkeling equipment will be provided and our friendly crew will jump in the water with you to show you the abundant marine life. By 11:30 we will have moved to our second location for the day. Those partaking in diving activities will hit the water again. 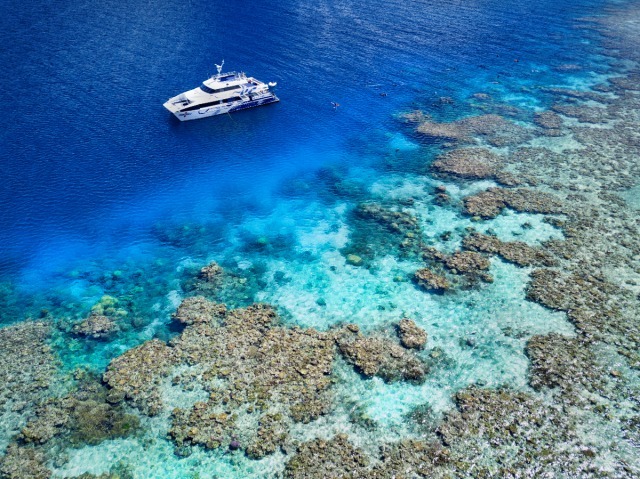 For those that are snorkeling you can have some lunch first or jump in to find Nemo, Dory and all of their friends. All the divers will be out of the water by about 12:30 ready to have their lunch. 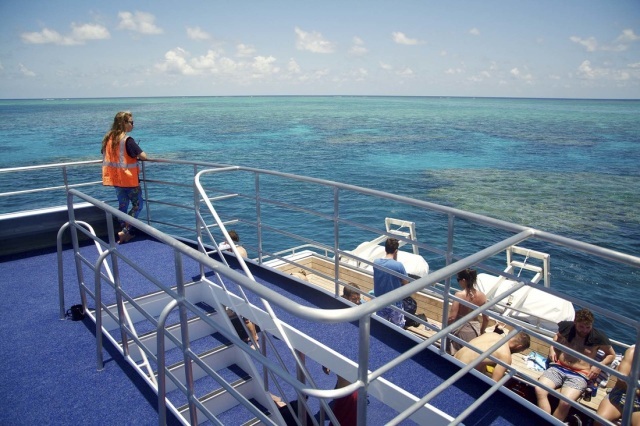 At around 1:00pm there will be a reef interpretation talk held on the top deck by one of our very knowledgeable crew to discuss what you have found so far and give you more information on the Great Barrier Reef. 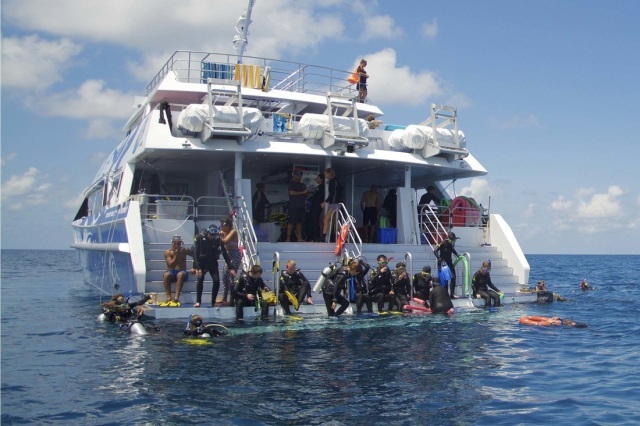 In water activities commence again 2:00 pm for divers and snorkelers alike.